It is always a pleasure to introduce an author from my home state. 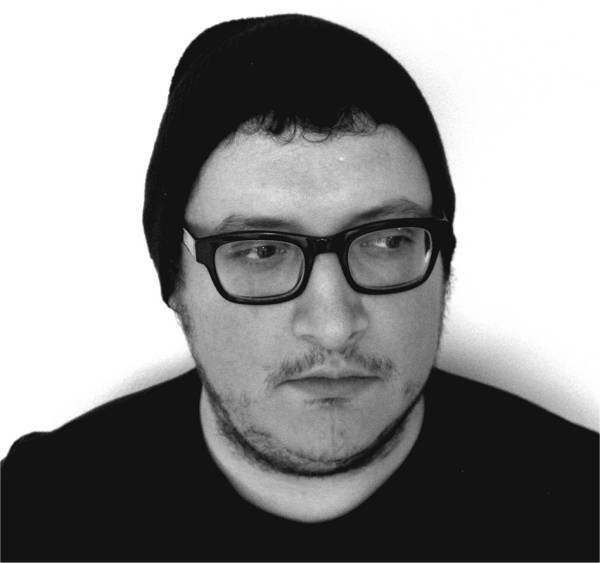 K. M. Alexander is a Pacific Northwest native and novelist from Seattle, Washington. I hope you enjoy his story here on No Wasted Ink. My name is K. M. Alexander. I’m a Pacific Northwest native and novelist living and working in Seattle, Washington with my wife and our two dogs. I’m an avid hiker and love all the mountains I can explore around here. I am a wannabe cyclist who doesn’t ride as often as he should, and I’m a bit of a beer snob (IPAs over all else.) I also work a lot. I’ve always loved reading and I had stories in my head that I wanted told. Writing ended up being the best way for me to tell those tales. I started writing about five or six years ago. I finished a few manuscripts, half-finished a few others, tabled all of them, and started more. I think that’s the way of things. It wasn’t until I had a few stories under my belt that I came across one that was good and I ran with it. When I started writing. I didn’t consider myself a novelist until I published my first book. In my mind if you’re engaged in the act of writing you’re a writer. Yeah! “The Stars Were Right” is a Lovecraftian influenced urban fantasy about a blue-collar guy who gets accused of a crime he didn’t commit. He is forced to go on the run and try to clear his name while avoiding the police and the people who are framing him. It all takes place in Lovat, a massive multi-level megapolis that has some big-city noir influences and some odd inhabitants. It’s a fun and strange world and, so far, it’s been really well received. It was a story that I wanted to read. No one was writing it, so I did. I’ve always loved H.P. Lovecraft’s stuff, but wanted to move from the realm of Lovecraftian horror and write something that’s more approachable. I don’t set out to write a specific style. My focus is to tell a good story. I want to let readers get lost in a world for a bit. I want them forget everything else around them and let them live in another place for a time. I guess my style would be: fun and approachable. I try to avoid getting bogged down by anything else. The title comes from a line from “Call of Cthulhu” by H.P. Lovecraft: “When the stars were right, They could plunge from world to world through the sky; but when the stars were wrong, They could not live.” It just fit. Plus there’s a bit of a hint of the series’ overarching plot in the title as well. I like to remain coy when it comes to the subject of messages. As the author, if I say anything it taints the reader’s thoughts going in so I like to leave that up to reader. It should be said, however, that I love hearing what messages readers pick up on. For me that engagement between reader and author is one of the most exciting parts about writing. H. P. Lovecraft was obviously a big influence on me and The Stars Were Right. There’s something very cerebral about his work that resonates with me. Neil Gaiman has always been a huge influence on me, I love the way he sets tone and the creativity behind his plots. China Miéville is also a favorite, in particular his world building skills, and the strange characters he creates. His worlds are engaging and complex but also grounded and lived in, that’s a tough balance. I also love Mark Twain. It’s amazing how approachable and funny he remains over 100 years after he passed away. Finally, Cormac McCarthy, the man is a genius when it comes to prose and tone. Not really. I have been working alone at this for a long time. Started finding a few writing groups after I moved to Seattle but I’ve never had that mentor relationship with another writer. At least not yet. Why I designed it! I have an extensive background in graphic and user experience design and I knew what I wanted when I finished the book. The 1866 etching that serves as the background is “The Vision of the Valley of Dry Bones” by Gustave Doré though edited. The lettering was done by Jon Contino, a friend of mine. I’m no illustrator and I can’t letter to save my life. 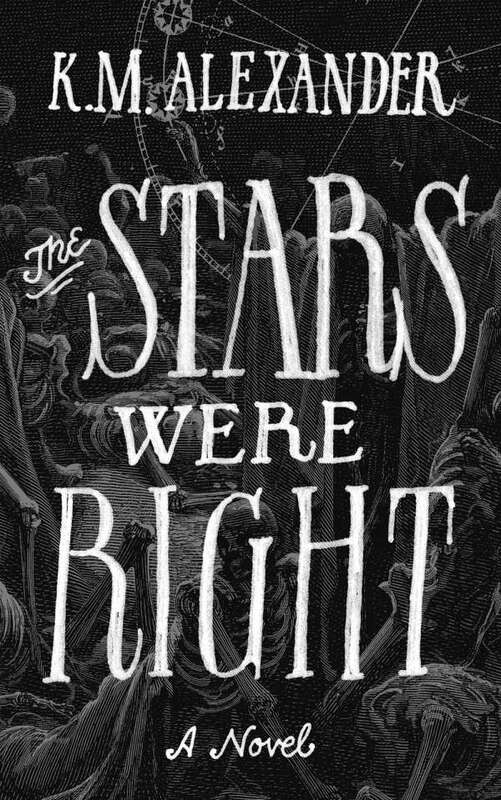 Jon is incredibly talented at both and his lettering really solidified the tone I was wanting to set with the cover for “The Stars Were Right.” Jon also returned to help me on the cover for the sequel as well. I haven’t told him how many of these I have planned. I considered responding with all the things everyone always says. Stuff like: never stop writing, finish what you write, let people read it, don’t get discouraged, keep at it, etc. Really though, advice will only get you so far. Everyone works differently. I think it’s important for writers to find their own path for their writing. What works for one person won’t always work for someone else. It’s not easy but finding your own stride is important for personal success. The best way to find that path is to write and be honest with how your approach is working for you and be willing to keep trying different things until you find that sweet spot. I love you all. You’re amazing. It’s terrifying to work on something so long and then finally release it into the wild. Your encouragement and excitement in posts, tweets, and emails is what keeps me doing this. I have a lot more stories I want to tell. I’m not done yet. Thanks for joining me on this crazy adventure. Great interview! Looks like a great read! I love his comment about ‘people who are writing are writers.’ How many times have we felt as though we didn’t deserve the title? Glad he is doing so well. Pingback: Friday Link Pack – 11/07/14 | I make stories.